There is light at the end of this DARK tunnel…. That article highlighted the success story of the South African Wildlife Industry, in particular the revival of our Rhino from the brink of extinction. Sadly it also raised the concern of a new trend – POACHING. While poaching has always been around, it was not until 2009 that things started showing signs of possibly escalating out of control. The tragedy left us shattered, but also revived our determination in working hard at educating the public about the problem, and possible solutions to solving the problem. As mentioned in a previous post, how can a fruit farmer enjoy the privilege of harvesting his fruit from his fruit tree without having to saw down his tree in order to harvest his fruit? How come a sheep farmer can sheer his sheep annually and a dairy farmer milk his cow daily, neither having to slaughter either the sheep or cow in order to realize a sustainable value. Then why can a Rhino farmer not harvest his horn instead of harvesting the animal to realize a sustainable value in his asset and investment? This has been the question on everybody’s minds for the past 2-3 years. While the question seems fairly simple, and extremely practical to a Rhino owner, things are never that easy when it comes to wildlife. The Rhino owner will tell you he can’t keep plugging the holes for much longer, the cost of protecting ones Rhino has passed the tipping scale. Without a sustainable value there will be no future for Rhino in the private sector. Keep in mind, the private sector was largely responsible for +- 80% in Rhino population growth through sustainable utilization. Take this as a fact and not an opinion from a Rhino owner. There seems to be many opinions out there, most of the impractical opinions seem to be coming from people who have never invested a cent into ‘real’ Rhino conservation. 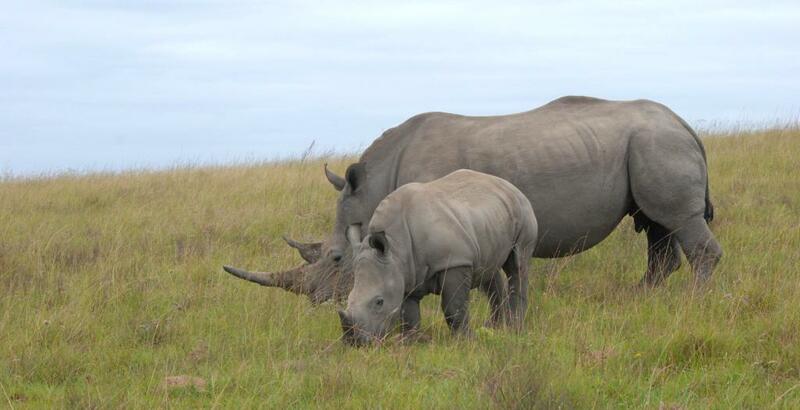 If you don’t like what I’m saying, then go out and buy a piece of land big enough to house Rhino, then purchase a couple of Rhino as a starting point, then start protecting them 24/7/365. Then come back to me and talk conservation. The liberals or antis will tell you ALL trade of Rhino needs to be placed on hold immediately. They consider the thought of harvesting a Rhino or its horn and trading it on a free market as morally incorrect. Humans cannot take advantage of animals by benefitting from their existence. To them sustainability means something different, often placing first world ideologies onto third world governments. The circumstances are just not the same. To bring everyone up to speed of where we are right now, here are the latest Rhino poaching stats issued by The Department of Environmental Affairs in South Africa on 2 May 2013. Pretty staggering – to say the least. Trust me, read it again and let it sink in. Then consider the following – Since May 2, 2013 to today, June 11, 2013, another 125 Rhino have been poached. TOTAL Rhino poached in SA as of today, 11 June 2013 = 398. That means 2 ½ Rhino are being poached every single day. BUT all is not doom and gloom, there is light at the end of this DARK tunnel. 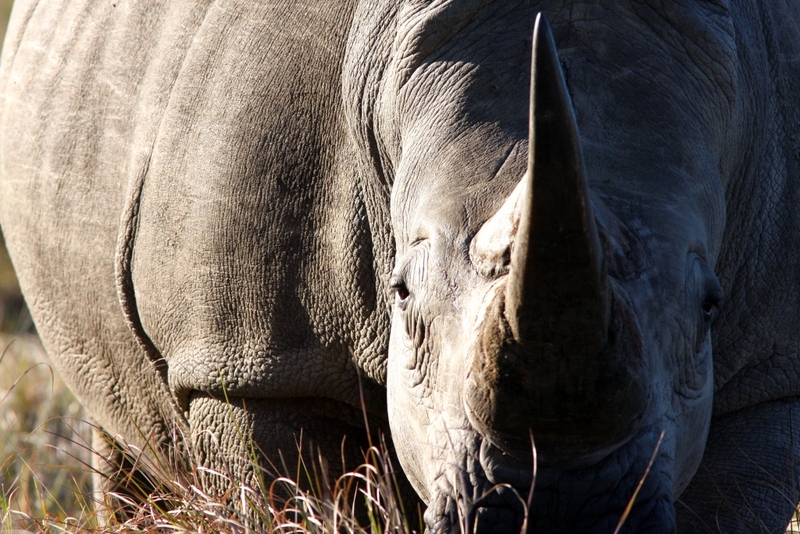 A new chapter in the Rhino Conservation success story is on the horizon. On June 7th, 2013, the following Article by Dave Cook was published in the Natal Witness. THE announcement by the chairperson of Parliament’s Portfolio Committee on Water and Environmental Affairs, Johnny de Lange, during the recent budget debate, that South Africa will seek approval at the next Cites (Convention on International Trade in Endangered Species of Wild Fauna and Flora) conference of the parties in 2016 for the lifting of the 35-year-old ban on trade in rhino horn, is music to the ears of all those who have been advocating an economic intervention as a means of reducing rhino-poaching levels. Hopefully, it represents a kind of conservation Rubicon marking the beginning of a much-needed brave new world in wildlife conservation practice. It is one sorely needed, not only in South Africa, but also further afield. Conversely, and without being spiteful, the decision to pursue a legal trade will not have been particularly welcome among the staunch anti-trade advocates and certain orthodox-minded non-governmental organizations, many of which will be scrambling to amend their agendas in a bid to remain relevant in the face of the impending policy shift. Sadly, it is a decision that is long overdue, following years of obfuscation that seemed to suggest that the government lacked the political will to meet the challenge posed by a conservation constituency that is hostile to any form of commercial trade in wildlife. Had the Department of Environmental Affairs (DEA) pursued the legal-trade option when poaching spiked in 2007, we might not now be counting the appalling loss of over 1?800 massacred animals, and the grave threat, which has emerged on the back of this scourge, to the integrity of our acclaimed protected-area network. This is not to say that the decision to trade will stop the hemorrhaging overnight. Should Cites lift the ban in 2016, it may take at least another two years for a legal trade to translate into a meaningful drop in poaching levels. By that time, at present rates of poaching (800 to 1?000 per annum), South Africa could easily see another 2?000 animals being poached. Not a pleasant prospect. We also need to be mindful of the industrial number of resources, finance and manpower?—?now reaching unsustainable levels?—?that has been expended on anti-poaching protection in state parks as well as private reserves, while the very fact of some areas falling within what has been described as “war zones” suggests that tourism will almost certainly be negatively impacted, which is something South Africa can ill afford. To make matters worse, evidence is mounting that we are not winning this war, we are losing it. Strong protective strategies will always be necessary, whether or not a legal trade in horn exists, but at least we can look forward to the fact that besides disincentivising criminal activity, a legal trade, once operational, has the capacity to fund the costly anti-poaching measures that are draining resources from normal management programmes, and at the same time will inject finance into cash-strapped park budgets. How senior ministers Pravin Gordhan and Trevor Manual view the whole rhino-poaching saga is an intriguing thought. With few exceptions, criminals have got away with some R1,5 billion worth (based on wholesale prices only) of horn in the past five years, without paying a cent in tax, and have destroyed renewable state assets (live rhino) worth another R500 million in the process. The ministers will also be confronted with the prospect of the country losing a similar fortune by the time a legalized trade takes effect. With the decision having been made to seek a trade sanction from Cites, what needs to be done to ensure that it is carried through into reality? Firstly, the minister must proceed urgently to implement the decision and prepare a proposal to go before Cites. According to De Lange, the cabinet instructed Minister Edna Molewa in December 2012 to “start a dialogue on the viability and desirability of lifting the Cites ban on trading”. Clearly, cabinet had not been adequately briefed. If ever there was an elephant in the room, it is the sheer scale of the poaching problem, the evidence that defensive options are failing badly and that South Africa, as the custodian of the bulk of the world’s rhino, is in a unique position. Why dither with dialogue to establish what existing facts render self-evident? Clearly, a demand exists. The main consumer countries are well-known. Those in the East like to eat the stuff for reasons that have existed for over 2?000 years, and criminal syndicates with labyrinth tentacles have used the Cites ban to create a lucrative market. That’s all we need to know. Add to this the fact that with a substantial stockpile of horn, and 85% of the world’s rhino within our borders, South Africa is in a powerful position to monopolize the market and out-compete the criminals. The rest is academic. One could go on researching the vagaries attending supply and demand until blue in the face, and still be ignorant of all the variables, but it goes without saying that the operational model used to trade horn will undoubtedly undergo frequent adaptations in relation to price, supply and demand as trade unfolds?—?a characteristic of any commercial venture. Standing by to help the minister to develop the proposal to Cites, and to act as the architects of a trade system, are any number of experienced experts drawn from the various disciplines: economics, international trade and commerce and the legal fraternity, who could develop a viable trade model, and from whose ranks a panel could be appointed. It is unlikely that such expertise exists within DEA. Apart from wildlife policy formulation, the subject of trading in horn, the structures used to conduct legal sales through a central selling organization and all the professional checks and balances that need to be employed in the process, are responsibilities that should go to the Department of Trade and Industry. The government’s role is clear. Firstly, as a major priority, it must use diplomatic channels to establish a primary partnership agreement with the consumer countries, then adopt Brics as a platform (via a trade mission) and negotiate a set of accredited buyers. Finally, cabinet should not shirk from declaring to the world now, and especially Cites, that 35 years of a ban that has failed to achieve what it was designed to do, is proof enough of the need to change. And with the bulk of the world’s rhino within our borders under threat, we reserve the right to decide how, in the interests of sustainable rhino and wildlife conservation, these resources should be managed. Let’s get on with it. Change will have to come, and come fast. How else are we as South Africans going to have a say in our own story? Our international friends have always been good to us, and we hope to receive the same support in years to come. The fight is far from over; in fact this new chapter may be the start of the greatest success story ever told. 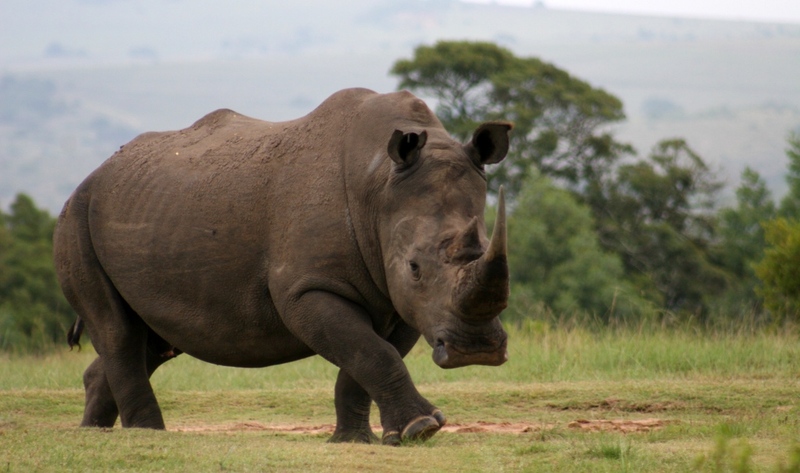 If a bunch of likeminded South Africans were able to achieve the success they have under a 35 year horn trade ban – Imagine the possibilities brought on by free trade…..